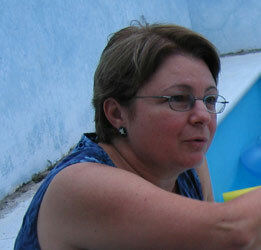 Castañeda founded and directed the independent Field School in Experimental Ethnography (1997-2000) as a way for undergraduate and graduate students to get on-site, hands-on training in ethnography. The Field School gave student researcher-participants the opportunity to conduct collaborative team research in three areas: the transcultural dynamics of teaching English to Maya children, the community history of Pisté in relation to 100 years of anthropological presence, and the contemporary Maya art of Chichén Itzá. The Field School was supported in part by a major grant from the Fideicomiso Mexico-USA, a bi-national organization formed by the Rockefellar Foundation, Bancomer Cultural Foundation and the Mexican Fondo Nacional para la Cultura y las Artes (FONCA). In 2003, Castañeda and Dr. Juan Castillo Cocom collaborated to create the Open School of Ethnography and Anthropology as a non-degree training program focusing on field study abroad programs. In addition to providing anthropological training programs, OSEA also develops and sponsors research conferences and publishing projects. Sarah Taylor is a doctoral student of cultural anthropology at SUNY Albany. She received her MA in Applied Anthropology from CSU Long Beach, and her thesis is titled Gracias a los Gringos: Negotiating Tourism and Community Development, and is based on research in the village of Ek’Balam, Yucatán. 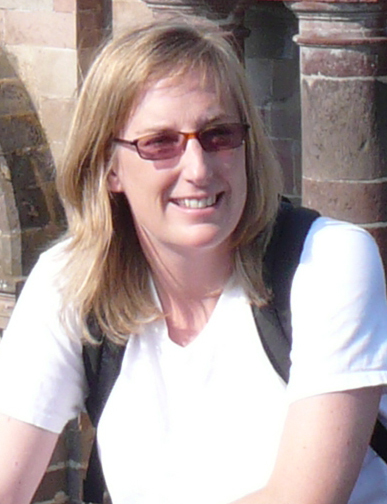 Sarah began work in Ek’Balam as an undergraduate in 2004 and plans to continue her dissertation fieldwork there. The main research foci include the actual and potential role of “community” in community-based tourism development, participatory research design, and the shifting household economic strategies employed by residents as they negotiate with the arrival of tourism in their daily lives. PhD 2009-present: University at Albany, Albany, NY. Cultural Anthropology. MA, 2008: University at Albany, Latin American, Caribbean, and Latino Studies. BA, 2006: Siena College, Loudonville, NY. Spanish Education. Christine Preble is a doctoral student of cultural anthropology at SUNY Albany. Her MA thesis and short documentary film, North America’s Caribbean Cruise Vacation: The Globalized Authentic, focuses on the globalizing forces of the North American cruise ship industry in the Caribbean. Currently embarking upon dissertation fieldwork in Cozumel, Mexico, she hopes to to spread awareness of the reality of the cruise ship industry and its effects on local populations to help foster mutual understanding between host and guest as well as working closely with residents of host communities to foster positive social and economic change. 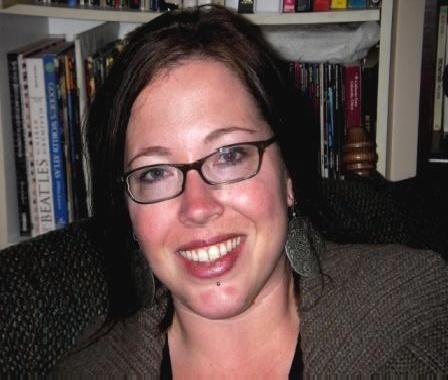 Ashley Sherry is a doctoral student of University of Massachusetts Amherst. Ashley has lived and studied extensively in both Mexico and the United States. In 2009, she received a Bachelor�s degree in Spanish and Anthropology with a certificate in Latin American Studies from UMass. She held a teaching assistant�s position in the Spanish department and served as an English as a second language course assistant for Spanish speaking adults at the local Boys and Girls Club. Ashley developed research skills through community outreach, course work, an international exchange program in Mexico, and ethnographic field excursions focused on human rights in the Dominican Republic and Argentina. She also worked as a research assistant for the Commonwealth Alliance for Information Technology Education. From 2007-2009, Ashley held a position as health educator on a 5-year National Institutes of Health funded study of exercise during pregnancy and the risk of gestational diabetes. Edy is young and engaging. He combines native, first language knowledge of Maya with a strong anthropological imagination and curiousity of cultural diversity. He has been studying Maya language with UIMQRoo professors where he has developed a great appreciation for the varieties of langauge teaching strategies in terms of performance, interaction, and bodily learning methodologies. As well Edy great interest in the varieties of Maya language not only as dialectical variations across the peninsula from Xul, Yucatan to Bacalar, but in terms of the meta-linguistic strategies about the correct grammar rules, writing conventions, spoken forms, and etymologies. He is voraciously reading up on all the debates about orthographies and syntax. His concern is less what is the correct syntax or writing convention, but what are the reasons for choosing this or that criterion in order to say that this syntax or that orthography rule is the best/correct. Edy is going to be a leading Maya scholar on language and culture. We have the great benefit to be able to bring him on board OSEA to join the Maya teaching staff. Edy is currently developing his BA or Licienciatura Thesis. It is a Community Action Research project in Anthropology in which he works with the elders of the community of Tusik to design and create a community museum. OSEA participants benefit from Edy not only in the classroom but by leading us on tours to his native hometown of Tusik to talk with community leaders about what they imagine is the past, present and future of Tusik. Maya language immersion students will be able to opt for spending 2-3 nights or up to a week living in Tusik with Edy as their cultural and language mentor. Jaime was the first Lic graduate of the class of 2011 and 2011 was the first to graduating class of the Universidad Intercultural Maya de Quintana Roo. 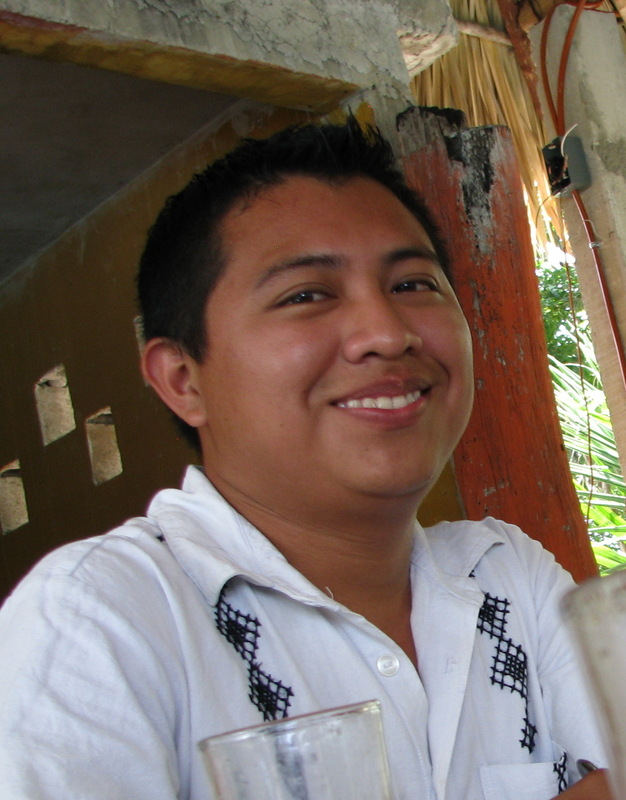 He was awarded Honors following his thesis defense on August 8, 2011 at the UIMQRoo. Jaime's thesis is a brilliantly creative and insightful analysis of the concepts of "tradition" and "modernity" as applied to "the Maya" by anthropologists and pro-Indigenous identity revitalization activists. His specific target of analysis is the field of "traditional Maya healing and medicine." In this short yet astute analysis of Maya healing and medical practices in the Cruzob communities in and around Jose Maria Morelos, QRoo, he takes apart the self-assured assumptions of Maya revitalization activists that seek to assert ahistorical visions of a "pure" unadultered, authentic Maya tradition in the field of healing and medicine. OSEA ethnography students are able to work with Jaime this summer to develop fieldwork projects that build on his expertise in the areas of Maya medicine, language, healing, and ethnography to develop cutting edge understandings of modernity and the Maya. 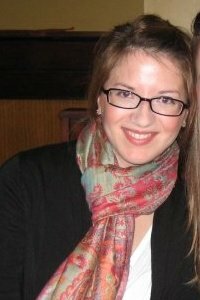 Gabrielle joins OSEA staff as a Spanish instructor in the 2012 summer. She is OSEA 2010 Alumni finishing her BA in Anthropology at Indiana University in May 2012. As a pre-Med anthropology major, Gaby chose to do an OSEA research project in which she worked with pregnant Maya women in the community to explore the kinds of medical care that they chose — traditional midwifes, massagers, healers, and allopathic medicine. This research has helped Gaby develop a more profound understanding of the cultural and social bases and contexts of health care which she plans on incorporating into her future career as an MD. Gaby grew up in a Hispanic household and is a native bilingual speaker with perfect fluency in both Spanish and English. With family in Guadalajara her experience in Yucatán was an opportunity to experience first-hand the cultural and social diversity of México. In addition to her anthropology and pre-Med studies, she minored in Spanish. Currently, she is taking courses on teaching foreign and second languages to adults. Gaby is excited to implement various teaching and learning techniques in the intensive Spanish program. Specifically, she interested in teaching the students communicative proficiencies in Spanish that will allow them to maximize their social and personal relationships in Pisté, their learning in the OSEA program, and their research projects goals. Matthew Breines recently received his Bachelors degree in Anthropology from SUNY Plattsburgh. 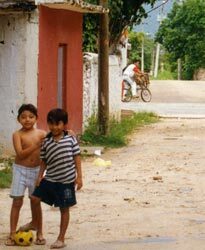 In the summer of 2009, Matthew took part in the OSEA ethnography field school and lived in Pisté, Yucatán, for seven weeks. Matthew’s study focused on the consumerist practices of tourists in the archeological zone Chichén Itzá. After working with the artisans and vendors in Chichén Itzá in 2009, Matthew is repaying his “fieldwork debt” by having returned to Pisté and offering language courses in the community. 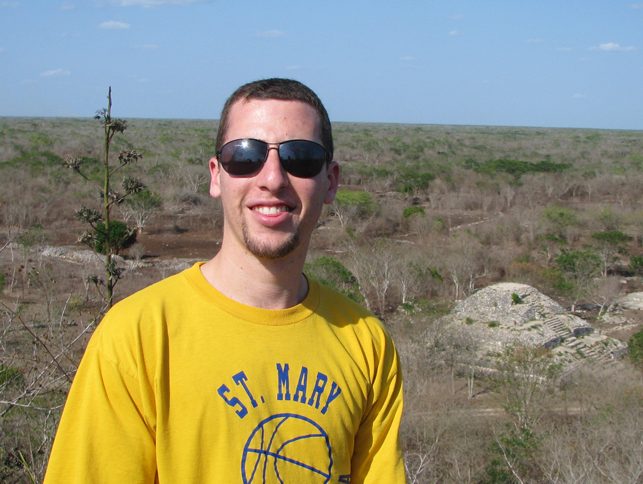 Besides teaching English to vendors, tour guides, and children, Matthew spends his days exploring the Yucatán region, studying the local Maya language, and participating in the daily, local life-style. Victor Olalde, a resident of Pisté, has been a close associate of Drs. Castañeda and Castillo Cocom for over 20 years. Victor is a licensed tour guide and the owner-operator of the Posada Olalde, which OSEA summer students use as home base while living and working in Chichén Itzá. Victor is a self taught polyglot. In addition to his native Maya and Spanish, he is fluent in English and German and can converse in Italian. Currently he is learning Japanese. Victor's base work is to provide tours to German tourists that arrive in prearranged groups. But he is also available for independent tourists and for providing tours throughout the Yucatán. He has provided special tours to a variety of celebrities and political personages, including Jeb Bush's wife. In addition to this work, Victor is also available for OSEA students as a special cultural liaison, friend, and resource. 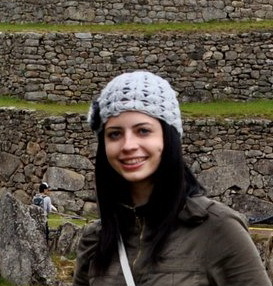 Megan Solon is a doctoral student in Hispanic Linguistics at Indiana University. After two years of graduate training in linguistic anthropology, Megan decided to pursue Hispanic linguistics with an interest in Spanish second language acquisition as well as in contact between Spanish and the indigenous languages of Latin America. She is currently working on a project on the acquisition of the present progressive aspect in Spanish as a second language by native English speakers. She also has an interest in studying pragmatic variation in Spanish brought about by its contact with languages like Maya. Megan earned her MA in Spanish from Miami University in 2007 and worked as Associate Faculty in Spanish at Indiana University-Purdue University, Fort Wayne in 2007-2008. 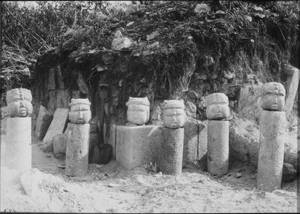 Castillo Cocom’s doctoral dissertation was an ethnographic study on Maya identity and the related North American cultural anthropology discourse. He is the author of various articles on identity and specifically has written on Maya identity politics. Castillo Cocom’s current research project is an ethnography and history of the protestant mission in Xocenpich, Yucatán. He is an authority on the infamous “Cultivo Yucateco,” and characters types, personalities, and the popular culture of Yucatán. If one spends an afternoon with Castillo Cocom, it will become clear that he circulates freely in the popular and intellectual circles of Mérida and provides unique insight on both, not to mention he is an excellent resource on the people, practices, and place of Yucatán. He teaches at the Universidad Pedagógica Nacional-Mérida and has taught at Florida International University, the Universidad Autónoma de Yucatán, CINVESTAV, and the Universidad de la Habana, Cuba. In 2003, he was the Yucatán academic seminar leader for the Fulbright Hays Summer Seminar on Indigenous Cultures and Environmental Issues in México and Costa Rica. Castillo Cocom is a Co-Founder of OSEA. 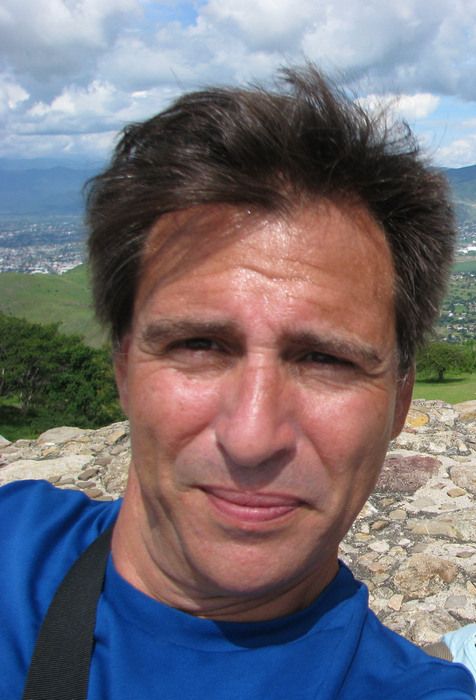 Castillo Cocom is currently on a visiting professorship in Anthropology at the University of California Berkeley during the spring 2008 semester. Castillo Cocom participated in a workshop sponsored by Indiana University on the politics and reception of Mel Gibson's film, Apocalypto. In 2007, Since the summer of 2007, he has been the chair of the teaching faculty of the Universidad Intercultural Maya de Quintana Roo. Fortuny Loret de Mola is social anthropologist with specialization in religion and immigration. In addition to fieldwork in Yucatán and Jalisco, México, she has directed and participated in national and international research projects with immigrant and religious communities in San Francisco, Atlanta, Houston, and Immokalee, Florida. She pioneered the ethnographic study of Protestantism in the Yucatan and is the leading expert on the church Luz de Mundo, which was founded in Mexico and then "exported" or "globalized" around the world, including the USA. Fortuny Loret de Mola is a Professor and Researcher (Title C) at CIESAS, where she has worked since 1988. She is the author of two books and more than 60 articles and chapters on religion, conversion narrative, secularization, and transnational migration. She is a National Researcher of the Sistema Nacional de Investigadores Nivel II and the recipient of Fulbright and Rockefeller Foundation Grants. Faust was a Full (category 3 of 3) Professor at CINVESTAV (Mérida, Yucatán) at the department of Human Ecology before her retirement. She is also a member of the Sistema Nacional de Investigadores [SNI] (Category 2 of 3). The SNI is an elite academic Mexican organization that unites the topmost researchers of Mexico of all scientific disciplines. Her research has focused on questions of the cultural interface between Maya communities and the natural world, cosmology, healing and healers, development, applied anthropology, and cultural ecology. She has been the primary advisor and reader on more than a dozen masters theses and doctoral dissertations in anthropology and inter-disciplinary studies. She has been the primary advisor and reader on more than a dozen masters theses and doctoral dissertations in anthropology and inter-disciplinary studies. She has many articles published in US and Mexican journals and has authored the ground-breaking ethnographic study, Mexican Rural Development and the Plumed Serpent: Technology and Maya Cosmology in the Tropical Forest of Campeche, México (1998). Hilario Chi Canul, a native of Quintana Roo, is the Maya Language Professor at the UIMQRoo in Jose Maria Morelos, Quintana Roo. Previously he has worked with well known US and Mexican filmmakers, including Mel Gibson, Nickelodeon and Cartes Smith in "Ruins." 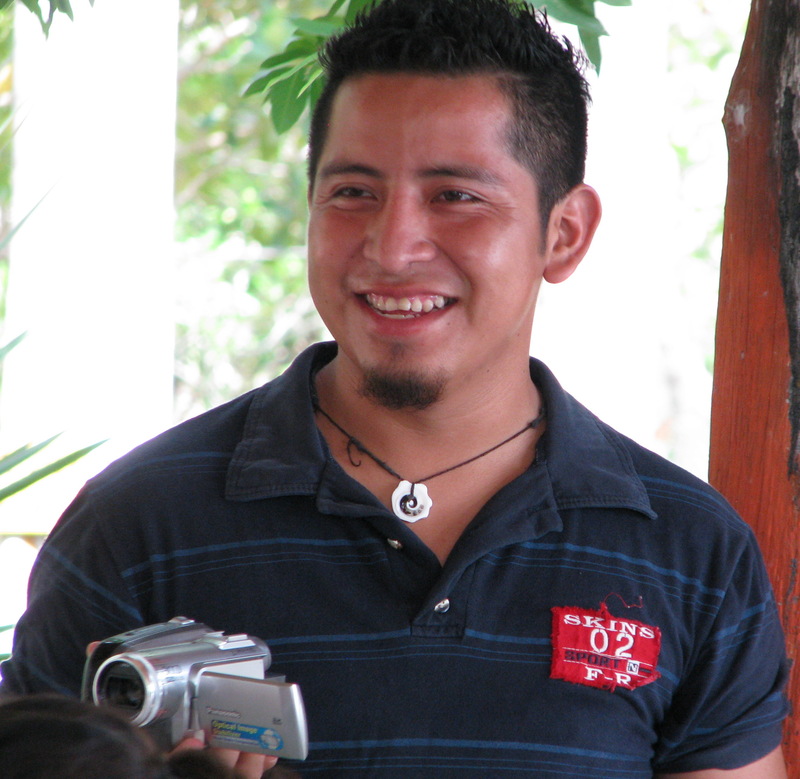 He has been the Maya language narrator in a number of commercial, art, and educational films. 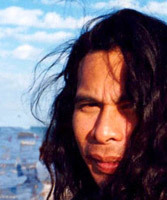 In 2007, he was the National Champion of Indigenous Language Oratory. 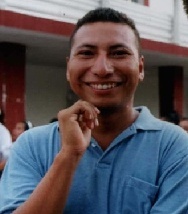 In the November 26, 2007 Hilario presented an analysis of the politics of Maya language in the film production of Apocalypto at Indiana University and participated in a workshop discussion of training indidenous actors to speak Maya. In 2006 Hilario won First Place in the National Oratory Championship in Indigenous Langauges and, most recently, in March 2008 he won First Place in the Latin American competition -- Concurso Latinoamericano de Oratoria Lenguas Indígenas. He received the honor of the title Guerrerro Ocelotl by the Gran señorio de Xaltocan. In addition to the faculty listed here, OSEA programs involve faculty and guest lecturers with diverse research and teaching interests to support our programs pedagogical and research interests.